Bosnia and Herzegovina is a meeting place of cultures, civilisations, and peoples whose existence is derived from their religions and largely shaped by them. For this reason, Bosnia and Herzegovina is a meeting place of religions. Relations between religions are reflected in all aspects of social life in Bosnia and Herzegovina. If Hans Kung’s maxim that there is no peace between peoples without peace between religions is true of anywhere, then it is certainly true of Bosnia and Herzegovina. Social responsibility requires us to consider this fundamental religious dimension of Bosnia and Herzegovina, to develop a proper understanding of it, and to treat it seriously and responsibly. Any assessment of interreligious dialogue under circumstances in Bosnia and Herzegovina must, however, be based on imperatives for dialogue resulting from both contemporary standards for interreligious relations in the world and particular needs in the country. Huntington’s pessimistic perspective regarding the Clash of Civilisations hangs over humanity like a sword of Damocles and has produced some not entirely groundless concerns. The 1991 to 1995 war in Bosnia and Herzegovina was, after all, in essence a war between Christianity and Islam. Even if there was fighting between the Serbs and Croats, they nonetheless managed, for the most part, to coordinate the war against the Muslims. Thanks to its position at the gates of Europe, all the controversies of the entire Islamic world have found their dumping ground in Bosnian Islam, where they come up against a similar convergence of the controversies of Christian civilisation. If this complex accumulation of relationships is left to the vagaries of chance, then Bosnia and Herzegovina will increasingly be abandoned to a chaos in which she faces even greater systematic pressure from dark fascistic nationalist ideologies. On the other hand, given enough positive pressure and by being brought into sync with global trends in dialogue and interreligious understanding, Bosnia and Herzegovina has the potential to play an important role on the global stage and be a new Jerusalem, inspiring, catalysing, and shaping contemporary trends. The dominant forms of religion here, Christianity (Orthodox, Catholic, and Evangelical) and Islam (both Arab Sunni and Iranian Shi’ite), both experienced a passage into modernity out of a colonialist period which caused religious exclusivity to develop into missionary imperialism, so exacerbating interreligious relations as to make a conflict of civilisations seem quite real, from that perspective. After the religions had been drawn into a hundred modern conflicts and wars, however, and it had become quite obvious that such relations were pushing our world towards a catastrophe of total destruction, there came about, in those very religions, a fundamental, in fact a Copernican break in their relations. Christian exclusivity was based upon the belief that God’s salvation lies in the Christ Jesus alone, rendering all other religions surplus to requirements and leaving the mission of converting the entire world as the only option. In so far as this exclusivity was a denial of more or less the entirety of Christian history, an epochal break took place at the Second Vatican Council, with the Declaration on the Relation of the Church to Non-Christian religions Nostra Aetate. Some theologians today claim that the conciliar fathers would never have issued this document had they been aware of its consequences. A U-turn was made within the very heart of Christianity: the divine gift of salvation through Jesus Christ was no longer only for Christians, as Jesus had mounted the cross for all people. All of humanity is embraced within the divine perspective. Out of this new inclusivity, the question then arises as to how God speaks to those who are outside the revelation and the Church, and the answer is: through religion. This is in brief what the entirely new approach towards other religions, not just of the Catholic Church but of Christianity as a whole, looks like. The pogrom against the Jews during the Second World War woke the Christian world from its slumbers and it has begun to clean out nearly 2000 years of accumulated distrust. The sea change in Christian and Jewish relations has been epochal, and the positive results have so mounted up that they are difficult to put order upon. The Jews have begun to feel themselves not just the first, but the custodians of the entire Abrahamic ecumene, researching the historical Jesus as a Jew and looking upon Islam as part of its own monotheistic heritage. Similar results are also evident in the relations between Christianity and Islam. The shocking events in New York on 9/11/2001 and the Pope’s notorious lecture at Regensburg on 9/12/2006 have nonetheless stimulated similar positive processes with Islam. In spite of the many burdens and obstacles to relations between the Islamic and Christian world that contribute to the negative image, epochal processes are taking place throughout the world that already provide an intimation of an entirely different future and of a world in which there is very little room for Huntington’s perspective. The basic tension in the Islamic world vis-à-vis relations towards other religions finds expression in how the Quran is approached, read, and interpreted. On the one hand is the Islam that considers the Quran to be the word of God, transcending time in a literal sense and therefore valid for all time. This is the basic principle of fundamentalism and is well known to the Christian tradition too. Thus, for example, one must take surah 2.191, which includes the sentence “Kill them wherever you may meet them”, or surah 4.11 on the beating of women quite literally, leaving only the question of execution to be settled. This dangerously radical approach is today advocated by extremist Islam, which is to be found, for the most part, in Saudi Arabia or amongst the Taliban. It has been introduced into Bosnia by the Wahhabists and similar Islamic radicals. This fanatical Islam is under attack by all spiritual people from all sides, particularly within the Islamic world. The alternative and far more prevalent form of Islam holds that the revelation given to Muhammad was expressed under contingent historical circumstances which do not hold for all time. Perhaps 10% of the contents of the Quran are valid for all time: monotheism, prayer, human dignity, justice, and social responsibility. All the rest is historically conditioned. Islamic theologians, intellectuals, and the entire Islamic community worldwide are inspired by the divine message which they read in terms of a confessional Islamic devotion to God and earnest endeavour of the spirit and the intellect, the greatest of God’s gifts, and not in terms of fanatical flight into magical contingency of the sort Islamic terrorists always stumble into, as they muddy and darken Islam, in itself one of the most beautiful spiritual gifts to the world, as are all the religions in essence. From such a point of view, however, one can make out the circumstances under which the statements cited above, which bear no true relation to the spirit of Islam, are expressed, and how similar they are to those in the Bible, when it speaks of God the warrior who kills. Taliban fanatics certainly make up no more than a couple of percent in Bosnia and Herzegovina, but they create such distress and confusion that one is surprised that the Bosnian Muslims do not themselves confront them. The total covering of women, turning them into mere figures and degrading them below any threshold of human dignity, has no connection whatsoever with Islam and is opposed to the most fundamental tenets of the religion. The human face is the holiest part of the individual as a being who relates, since it is through the face that the person speaks, presents the self as a whole, and integrates within human communities. To cover over an individual’s face is a cruel and humiliating act which denies cultural and spiritual humanity and, where it does take place, indicates a socially dangerous ideology in which terrorism may flourish. This is why one is surprised that Bosnian Muslims themselves, led by the elders of the Islamic community and their intellectuals, do not seek to have such personal degradation outlawed. When I meet such a woman, I am ashamed, as a person of faith, because my faith links me with all people of every religion and I cannot understand that human beings can be so humiliated in the name of God. Violence, which has nothing to do with religion, appears only where religion has been distorted into its contrary. The existing religious structures of both Christianity and Islam were established, for the most part, in times long past, and both religions face a need for demanding reforms which cannot, again for the most part, be passed over. The Catholic Church made an attempt at reform during the Second Vatican Council, but clearly did not succeed; the numbing trend towards restoration holds the upper hand and will continue to do so until it dies out. The Islamic dictators hold the majority of the Islamic world in thrall and it will long remain an uphill struggle to wrest liberties through an Arab spring from those who will surely continue to use Islam to keep their people in obedience for some time yet. There are many points of controversy for the Islamic and Christian worlds to bridge through dialogue. From a position of religious exclusivity, Christian civilisation has arrived, via the French revolution, to the principles of freedom and equality, the warp and woof of the human rights on which the development of democratic societies is based. Islamic countries in which Islam acts as a state religion have turned the religion into a state ideology, while other religions are tolerated as second-class. The approximately 200 million Christians in Islamic countries today are amongst the most vulnerable religious groups in the world. There is no alternative to dialogue. What the contemporary religions fail to see is that the interreligious context is what gives them their main stage, it provides the environment in which they live. Without dialogue and mutual enculturation, they cannot define themselves, they cannot carry out their mission, or indeed survive. It is from this perspective that one should consider the condition of interreligious dialogue in Bosnia and Herzegovina. On the one hand, the nationalist ideologies of death hold Bosnia and Herzegovina in thrall, claiming that the country cannot survive as a multi-religious and multi-national entity. It would be a defeat for all the positive processes in the world for such retrograde ideologies to be victorious. These ideologies have done their best to turn the religions into nationalist religiosity, consuming them, smothering them. Unfortunately, the majority of the clergy in all the religions has fallen head over soul into this nationalist religiosity. Against a very different global background, many people in Bosnia-Herzegovina feel a call to action against the fascistic darkness. One should recall the hundreds of initiatives across the country by men and women who have invested incredible enthusiasm in projects to restore the country’s authentically positive face and mark the memory of the suffering through which it has passed. Many have also come from abroad to help such a Bosnia. It is interesting what a high percentage of the people in these projects are active in interreligious understanding. There has been no systematic research into these endeavours, but even a simple list of them would be useful. In Bosnia as it is now, those who bring children to visit other religious communities or bring together hundreds of young people from different faiths and peoples or meetings of teachers, doctors, and people of all vocations have little visibility. 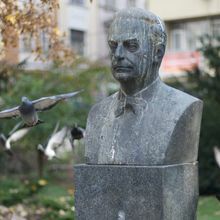 But then, the security services of the criminal dictator Slobodan Milošević paid little attention to the youth work of the religious from which the Otpor resistance movement that did for him grew up. There are reasons to suppose that a critical mass has accumulated in Bosnia and Herzegovina, ready to explode in some form of “Spring” which will sweep away the fascistic stench that has been poisoning the country for 20 years. A new generation of young people has been growing up, formed by the Internet, communicating through mass social media like Facebook, and fundamentally different from their parents, dumbed down by the one-way medium of television. Just as many young women are currently studying theology in all the religions as young men. A new world is arising which may soon be expected to debut upon the political stage. There is a sort of unacknowledged consensus that Bosnia and Herzegovina has had little luck with its religious leaders. This misfortune lies in their wanting to base their leadership on authoritarianism and not enlightenment. These leaders, chiefs, are patriarchal archetypes of the father from earlier, despotic times and they require a people that will listen unto them. Time has obviously passed them by and they do not understand that for people to listen is no longer the same as for them to obey blindly. It is now based on a capacity for freedom, creativity, and leadership itself. Can we imagine our bishops, Orthodox or Catholic, or our Reis organising a seminar on Christian or Islamic leadership? On obedience and submission, perhaps! They themselves are not mature enough and have not proved capable of organising the Interreligious Council, an arrangement they were practically forced into by international factors. This is why it barely functions. Relations within the Interreligious Council are similar to relations between the nationalist parties: there are hostile, excluding, do not love each other, capable of cooperating only to ensure the mutual closure of their communities towards each other. 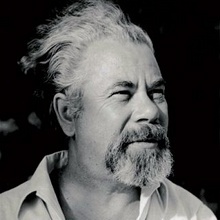 It is impossible to imagine that the Interreligious Council might, for example, initiate or coordinate some action within civil society and experience it as something over which it has ownership, or perhaps invite the Pontanima choir to a gathering, precisely because Pontanima lives a vision which, coming from Bosnia, inspires the entire contemporary world with the healthy spirit of Bosnia. Such an Interreligious Council can only be a drag upon events and much time will still be needed for creative leaders, with a feeling for the moment and capable of initiating life rather than holding it in the dark of the past, to come the fore within our religious groups. The visitor gets the impression that Mostar is a particularly sad paradigm for interreligious relations, one that leaves Bosnia and Herzegovina a sadder place. The tower of the Franciscan church, ill-proportioned and tastelessly erected above the town, violently dominates the Mostar skyline. The tower should be a symbol directing our attention to God and the ultimate sense of life, but a glance at it makes clear that God-directed thought is the furthest thing from the minds of its makers and will certainly not be induced in the minds of those for whom its message is meant, that they might know to whom the land belongs and whose God is the right one. Moreover, and for the same reasons, a massive cross, intrusively illuminated at night, has been raised over the town, to spread the same message. Sufficient comment is provided by the remark of the good-natured Muslim in the joke who, when asked what he thought of the cross, replied it was a big plus for Mostar. Whenever I go to Mostar and look up at that tower and at the cross above the city, I feel ashamed as a Christian and a believer. It is not my purpose here to produce some sort of balance, counting on the insensitivity of the human spirit, but the minarets of the mosques at Bijelo Polje, on the approach to Mostar, belong to this selfsame Catholic religious landscape. These twin minarets, each with a pair of šerefets [balconies] where one would do, if the purpose were prayer and not to send a message to Christians as to whose land this is and whose God is the right one, offer a similar form of architectural violence. The ruined Serbian Orthodox Church above Mostar recalls the powerlessness during the war of the all-powerful Serbs, who in the 1992-95 war destroyed more than 1000 mosques and Catholic churches, including some which belonged to the cultural heritage of the world. This is why Mostar is the saddest paradigm of interreligious relations in Bosnia and Herzegovina and the rest of Bosnia and Herzegovina is saddened because it has been filled up with religious buildings that, instead of directing our minds to God, serve as boundary markers to tell others that they are not welcome here, because this territory belongs to those who struck the boundary marker. The church in Kiseljak and the mosque at Kobilja Glava, between Vogošća and Sarajevo, are but minor examples from a Bosnia and Herzegovina disfigured by something that should direct towards the Holy and bow down before the Sacred. 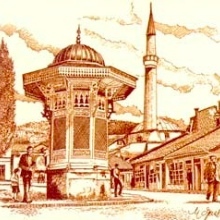 Nor should one forget to mention, alongside the Mostar tower and cross, the many post-war mosques built around Bosnia and Herzegovina that represent, according to the best expert opinion, a form of violence against the natural environment and the architectural tradition of the country itself. The HVO [Croatian Defence Council] has fenced in practically all the areas of Bosnia and Herzegovina inhabited by Croat Catholics that border with Muslims with crosses turned towards those selfsame Muslim territories, sending a message that is entirely incompatible with the event of the cross through which God, as Christians believe, embraced all of humanity. Published in magazine Dani, 752, Sarajevo, 11.11.2011, pp 34‐36: Kaos ili novi Jeruzalem (Chaos or New Jerusalem).